One beautiful day, you scroll through your newsfeed and find out a cute short hairstyle. And boom! You chop your hair. But after a few days, you miss your ponytail and want it all back? Don’t panic! Even celebrities make that mistake sometimes. 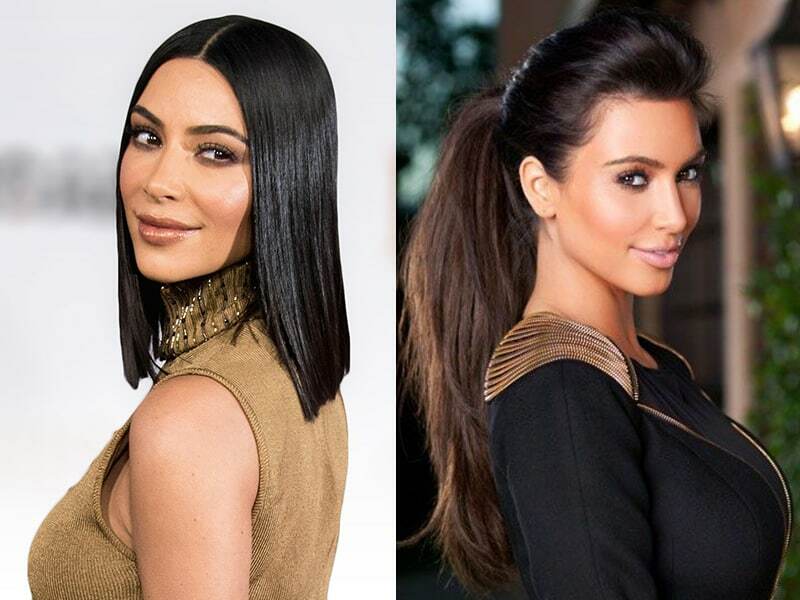 One moment Kim Kardashian is spotted with a classy bob. The next day she’s going shopping with a waist-length ponytail. And her secret is clip-in ponytail for short hair. Stamp it on and have the best of both worlds. And the greatest part? It’s no commitments and damages. So if you’re also planning to get yourself one, stay tuned. In our post today, we will give you EVERYTHING you need to know about clip-in ponytails for short hair! 1. What is a clip-in ponytail? 1 1. What is a clip-in ponytail? 2 2. How to take care of your clip-in ponytail? 3 3. How to use clip-in ponytail for short hair? A ponytail is a hairstyle which people tie up some, most or all of their hair and secure them at the back of their head. Many admit wearing a ponytail because of its convenience. It’s easy to do without others’ help and won’t take more than 5 minutes. In ponytail hairstyle, you look younger which is a massive boost to your confidence. Moreover, this hairstyle also represents dynamism and power. Thus, girls with strong personalities, who want to have a more attractive appearance, often go for ponytail hairstyles. So, even when they cut their hair to shoulder-length, they still want to feel the vibe sometimes. And that’s when they look for clip-on ponytail for short hair. So what is a clip-in ponytail for short hair? The name speaks for itself. It’s a type of hair extensions which can be clipped on your head like a ponytail. With them, you can look like a celebrity with a long, silky, and slack ponytail. 2. How to take care of your clip-in ponytail? As mentioned above, taking care of your clip-in ponytail is the real challenge. It requires a lot of attention. Do it properly to maintain their long-lasting lifespan. Different from the sewn-in type, clip-in extensions must be taken out before you rest on the bed. As they possess little combs which can quickly dig into your scalp, you may wake up in the next morning with pains. They’re also weak and can be broken easily. You might wonder why not washing them after each time of use. Well, it’s because the more often you wash and style your extensions, the shorter it lasts. But if you want to give them a rinse, follow the guide below. It will ensure their quality throughout years of use. Go through the hair before washing using a brush. Make sure your extensions have no knots or tangles before doing anything. Use conditioner and hair treatment only. 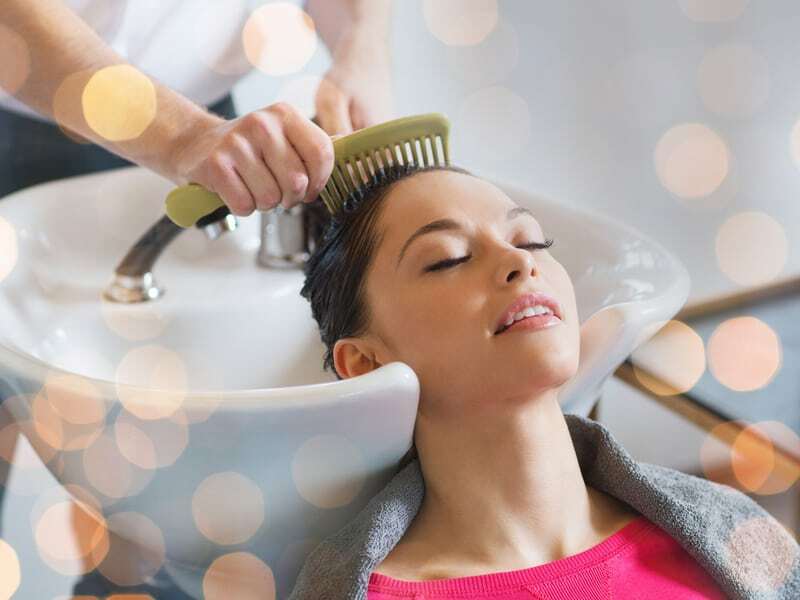 Rinse (not rub) your extensions under lukewarm water. 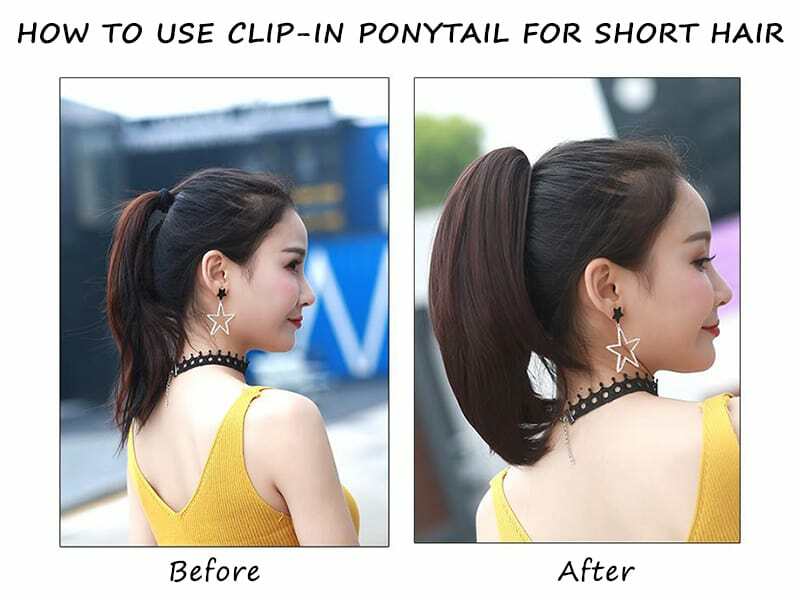 Of course, your clip-in ponytail will get tangled at some point. When brushing it, remember to use a wide-toothed comb. Moreover, be sure it’s all dry before doing. Now, let’s talk about the technique. Start with the ends first, and go up to the top bit by bit. Never begin with the top. Use a different comb for your extensions. If you brush it using the same comb you use for your real hair, the oils from your hair can downgrade your extensions. Be patient! Remember rush equals damage. Treat your extensions as you treat your hair (in the right way of course!). When your clip-in ponytail is dry, moisturize it. Spread a little bit of leave-in conditioner evenly on your comb. Then brush your extensions. To avoid greasiness, don’t overdo it. 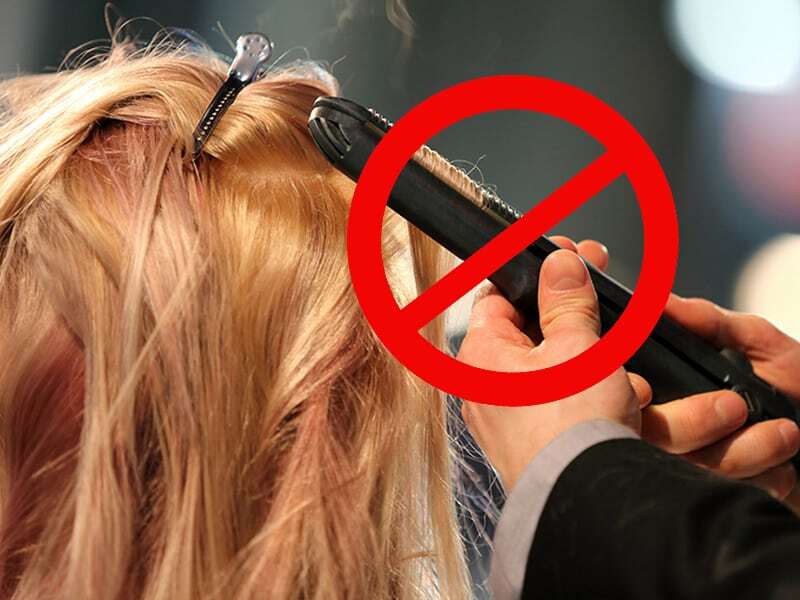 But if your extensions’ material is synthetic fibers, skip this step. According to experts, the best way to maintain your hair extensions is to avoid heat styling. This means saying no to straightening, curling, and all kinds of heat-involved styling. Especially, never style synthetic extensions with heat as the material is easy-to-melt. If you have to heat style your clip-in ponytail for short hair, make sure to spray a heat protecting product on top, and use a low temperature. Don’t blow dry it or else it will be tangled. Before you heat-styling, make sure it is dry. Style them before clipping on your head. 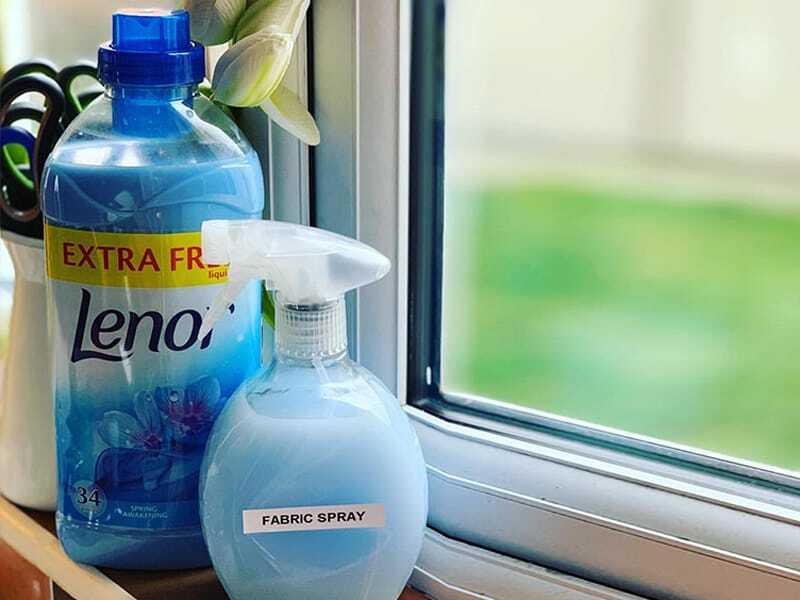 When your clip-in ponytail gets fuzzy, make a spray bottle of water and fabric softener following the formula 1:2 (1 water – 2 softener). Shake the bottle and spray it on the extensions. After that, use a wide-toothed comb to brush through them. Also, work in small sections beginning in the ends first. Finally, let it dry naturally and use. 3. How to use clip-in ponytail for short hair? Make a small compact ponytail. Clip your ponytail extensions on the top of the one you just created. Use the velcro strap to wrap it around the ponytail. Pin the velcro and continue covering the band using the long strap. Fix the appearance by bobby pins. Easy as pie! Once you get used to it, the whole process won’t take more than 5 minutes. Now, you’ve known everything about a clip-in ponytail for short hair. We agree that taking care of extensions can annoy you a bit; but compared to the results they offer, it’s worth the effort. So, if you think our post is useful, share it with your friends. Subscribe and Layla Hair will continue to give you helpful content!